Please wipe your feet, take your shoes off, and come in to the Bucket residence. You can then sit down over a candlelight supper and introduce yourself. (This area is viewable to guests - to enable them to get a feel of the website). 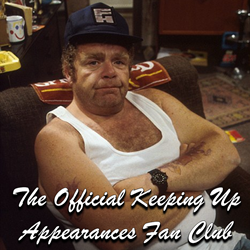 Discuss any Keeping Up Appearances items which are on Ebay, or items that you own here.